British brand Palette London launched a couple of weeks back and I was actually invited to their launch event but surprise surprise it wasn't something I could attend at the time. So when the team offered to send me one of their Create Your Own Kits to try at home, I was very excited. I certainly don't need a new nail polish to be quite honest, my box is overflowing at the moment... but being able to create my very own bespoke nail polish shade was something I had to try for myself. The kit gives you a few examples of the kind of shades you can create using the primary colours included, but to be honest you can be as creative as you want. 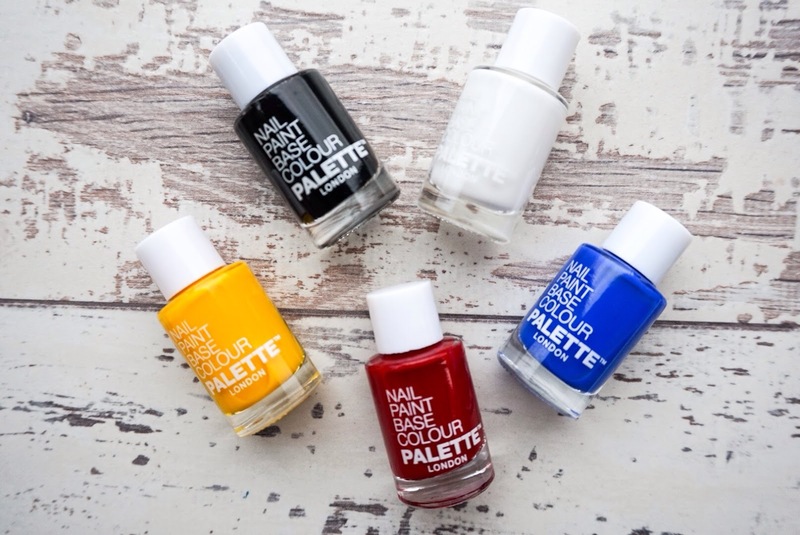 If you want to avoid any kind of messiness, you can also opt for the brand's expert colour matcher to create your very own nail polish, through their Bespoke Colour Service. Despite a bit of messiness, I really enjoyed creating my very own nail polish shades, Ellie even helped me and then we indulged in a bit of pampering as we painted our hands & feet. 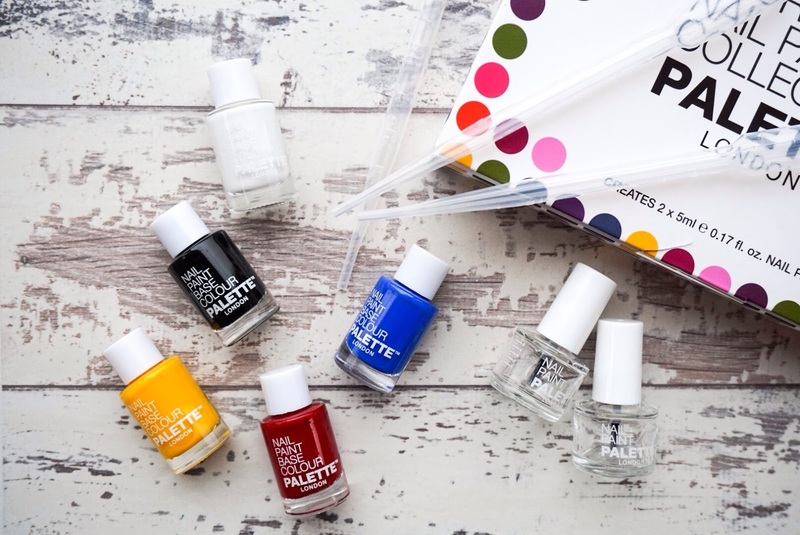 There's two different available options for the *Create Your Own Kits, both include the plastic pipettes and the 5 primary colours... the difference is that one of them is designed to create 2 nail polishes (this is the set I have here), whilst the gives you the option to create 5 pieces. You also have the option to buy any of the refills if you run out of the primary colours or empty nail polish bottles, which is great. As I mentioned above the process was a bit messy, bear in mind that I did it all with a toddler by my side by it was fun at the same time. What I will note is that it took a long time to actually shake the formula together in order to mix up the different colours (my arm was actually quite sore after it all... I suppose you can consider it as a free workout). I created a very winter appropriate shade (burgundy) which you can see in action on my Instagram here and also opted for a less vampy shade (lilac) which I will reveal next time I paint my nail more than likely in one of my Insta pics. I didn't touch the yellow shade included and I also have a bit left from each of the other primary shades but no empty bottle left, so I'm thinking maybe the set should have inlcluded 3 empty bottles instead of 2, to make sure you get the most out of your money. The formula is fast drying, which in turn can make the first layer look quite streaky... but with 2 coats I was able to get an even finish. It also lacks a bit of glossiness once dried completely, however that's not an issue for me as I always use a top coat. Lasting power was the most impressive for me because it lasted a whole 5 days before I saw any kind of chipping, that's a winner in my books since my usual manicures barely last 2 days. The 2 piece kit that I have here will set you back £25, whilst the 5 piece version is £50... So not exactly cheap but it is one of those novelty kind of products to be able to create beskpoke nail polish shades. Overall I really enjoyed being able to get creative & create two gorgeous shades that I can see myself wearing a lot in the future. 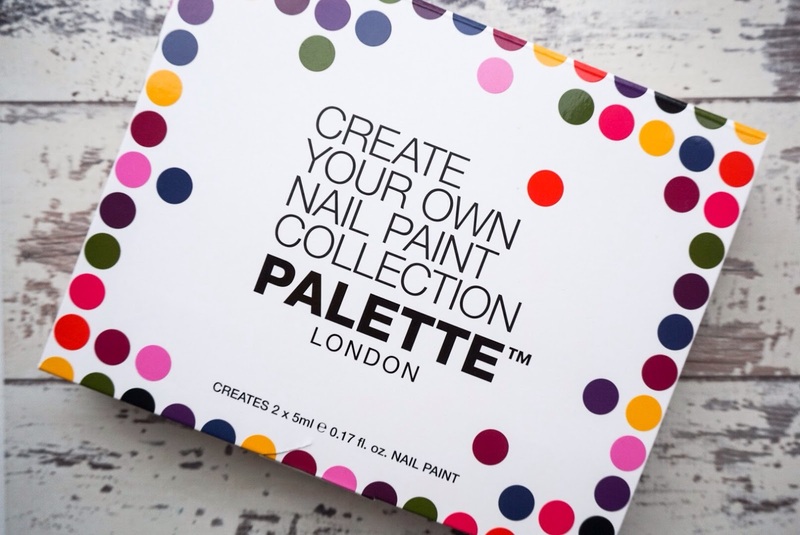 I personally think one of these kits would make a fantastic gift for anyone that loves anything to do with nails, beauty or just in general loves to be creative. I'd love to hear your thoughts on the brand... Would you be interested in creating your bespoke nail polish shade?